Time to Solve Persistent Cleaning Problems! Whether it smells, coffee and wine stains, rust, gum, urine stains and odours, or mould, we have solutions at Rapid Clean to discuss with you. Solve them Fast with our leading brands! Coffee Break - Low pH spotter used to assist in the removal of coffee, tannin, berry red wine and fruit juice stains. Trusty Rust Remover - Safe to use on both carpet and upholstery for the removal of rust and some water based stains. 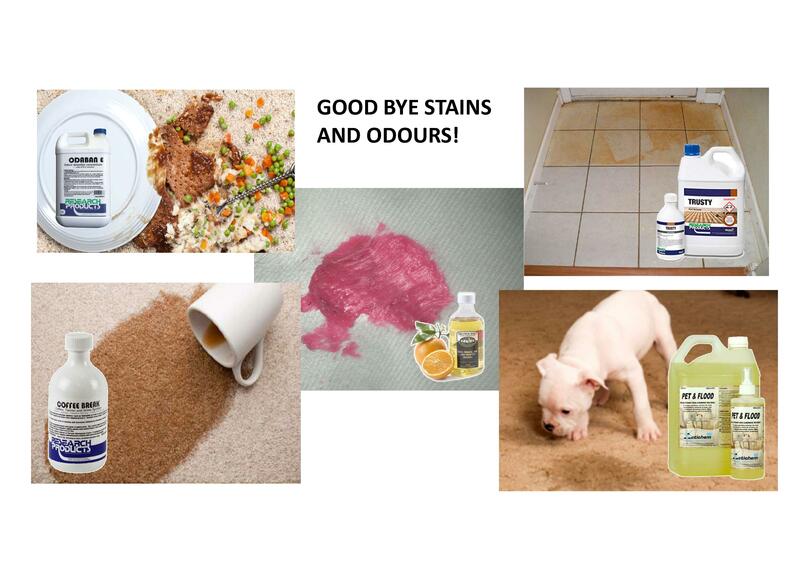 Pet & Flood - A unique spotting solution for high performance removal of cellulosic browning, urine stains and the associated odours. Orange Solv - A powerful water soluble solvent that is an alternative to strong petroleum, chlorinated or glycol ether solvents used for heavy duty cleaning and degreasing. You want your place looking clean, smelling fresh, but the odours keep coming back after regular cleaning? Time to discuss bacteria killing cleaning products that remove the long term source of the smell. Wave goodbye to Rust and red stains like terracotta, removed with Trusty or Rust Remover. The best advice is from professionally trained cleaning specialists at Rapid Clean where you get friendly treatment and great service!